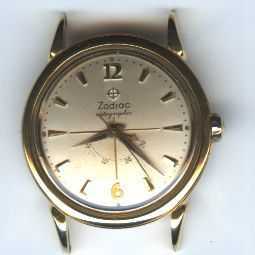 This is a 17 jewel Zodiac auto wind bumper type with sweep second and a power reserve indicator at the 6:00 position. 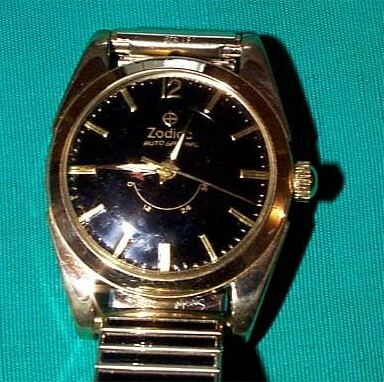 The case is stainless steel And in good condition The back has some scratches. 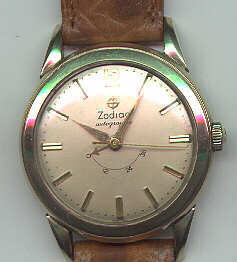 The dial is real nice and silver in color. 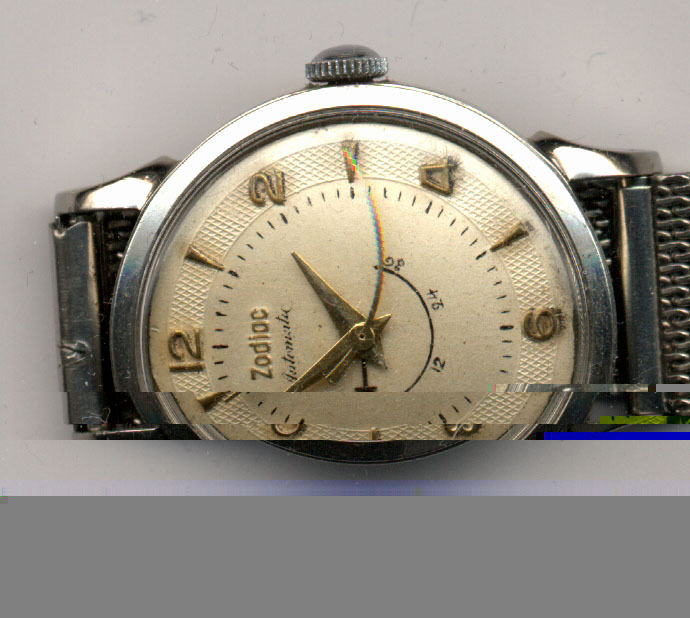 The watch runs fine. 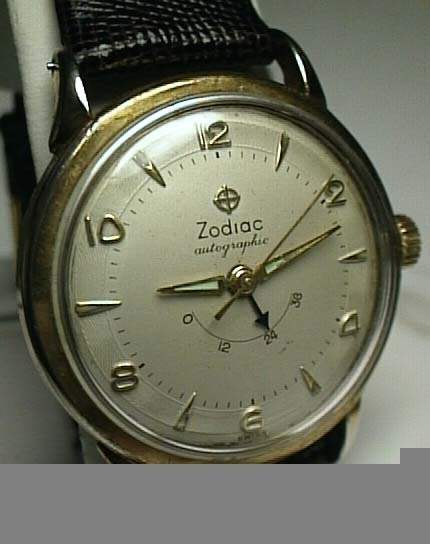 Zodiac Astrographic Power Reserve model. This watch has a complicated movement as the hand under the normal hands is a actually a gauge of how much the watch is wound up by the automatic rotor. 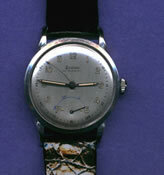 It shows 0-12-24-36 hours. 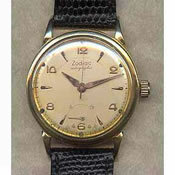 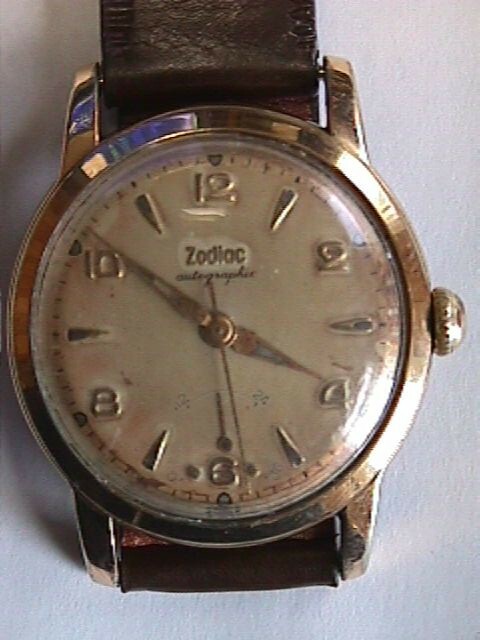 Zodiac Autographic with a Power Reserve Indicator. 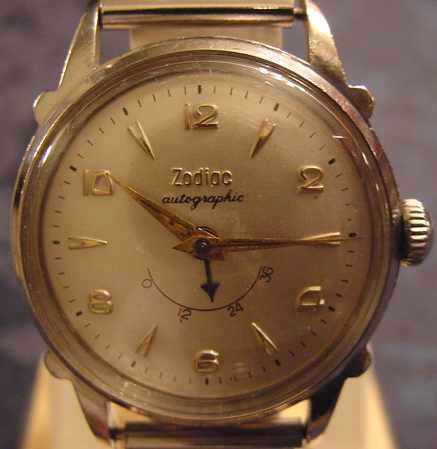 This neat old watch features an automatic movement with the Up & Down Indicator on the dial (Called Power Reserve Indicator on wrist watches). It is a 17 jewel mechanical movement that dates from the late 50's to early 60's. 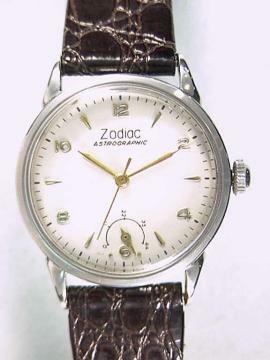 As you wind the mainspring manually the power reserve indicator will show how many hours it will continue to run before it requires a new winding. 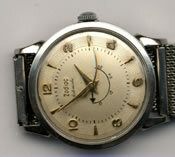 The indicator shows 36 hours on the register....but typically these would run for as much as 48 hours on one winding. 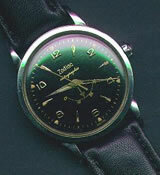 Can be wound both manually or automatically, as it it is the improved Autographic model with a rotor & auto winding. 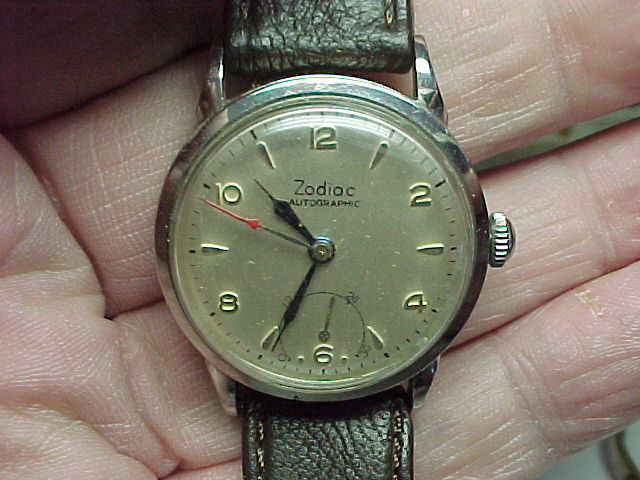 The dial is crisp and appears to be all original, as the case and the entire watch. It looks nice and runs good, keeping good time. 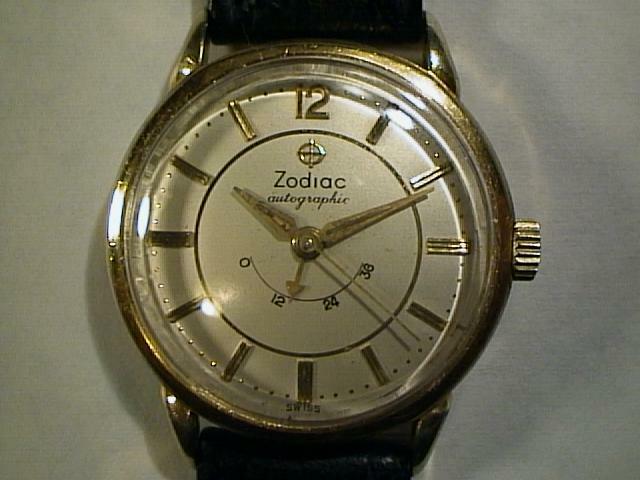 It is in a yellow gold filled (top) case with a stainless steel back. Water and shock resistant screw back case. These watches are becoming more and more scarce and hard to find in good running condition.